Trucks are still the number one way that most goods move around West Virginia and the United States. Tractor trailers haul just about everything from eggs and butter to printers and iPhones. Buses are also an integral part of everyday life for many, especially for those who commute to work or school by bus. 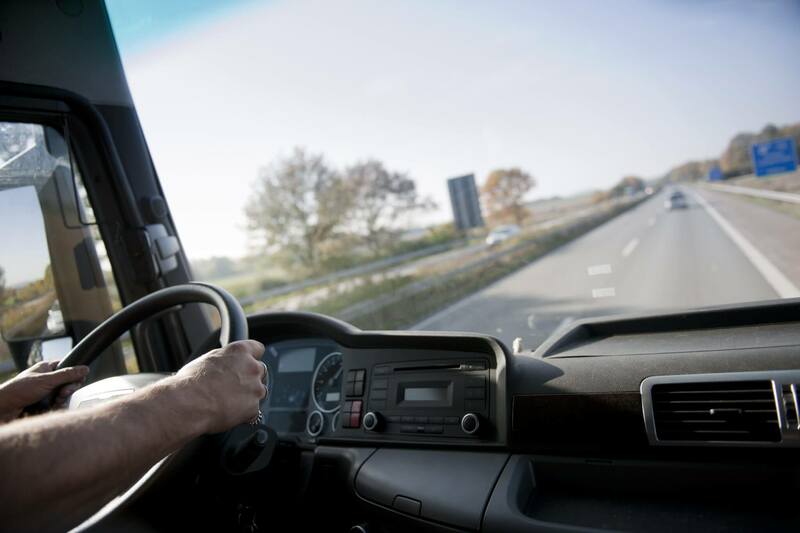 Unfortunately, each year over 90,000 large trucks and buses in the U.S. are involved in crashes that result in injury or death, according to the Federal Motor Carrier Safety Administration (FMCSA). In other words, every single day, about 250 commercial trucks and buses are involved in accidents that cause injury or death. There are also over 340,000 commercial truck crashes every year involving property damage only. Fortunately, there are steps you can take to help you avoid a big truck or bus crash. 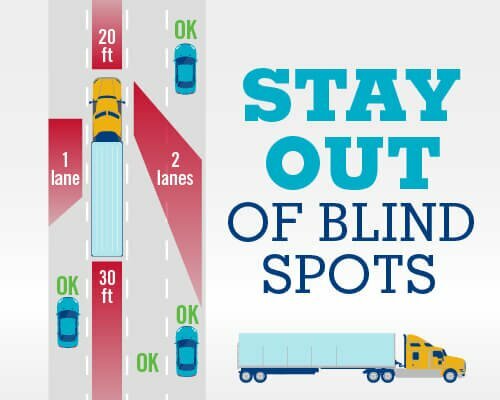 Now that you know where big truck and bus blinds spots are, try to stay out of those blinds spots as much as possible by slowing down or temporarily speeding up. 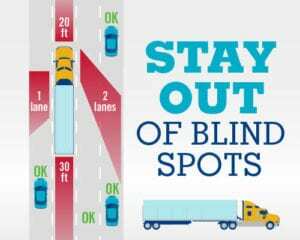 Staying visible to the truck driver is important: A good rule of thumb is that ‘if you can’t see them, they can’t see you.’ Put another way, if you can’t see the driver in the truck’s side mirror, assume the driver cannot see you. Minimize the truck driver’s blind spots: Before passing, be sure that you can see the driver in the mirror. That way, you know that you are not in a blind spot. Signal clearly, then move into the left lane and accelerate. Accelerate so that you can pass the truck or bus safely and promptly. Try not to linger in the large vehicle’s blind spot. Thus, it’s important to time your passing when you can pass the truck or bus as quickly as possible. Don’t try to pass when there’s another vehicle ahead of you blocking your passing. Allow for plenty of space before returning to lane the truck or bus is in because of the truck driver’s blind spots and slow stopping distance. In addition to those steps, there are a few other things to keep in mind. Try not to pass a truck or bus on a downgrade. Heavy trucks and buses tend to pick up speed downhill. Also, never pass from the right lane. As you can see above, large vehicles have more of a blind spot on their right side. If a truck or bus is passing you, slow down a little and give the vehicle plenty of room, which will minimize the time you are in the vehicle’s blind spot. As you are likely aware, cutting in front of a truck or bus too closely is a dangerous move. If you are in the driver’s blind spot, then cutting right in front of a truck will surprise the driver and might cause a crash. Moreover, not giving enough space in front of a bus or truck may not allow the driver to slow down in time, given that large vehicles require more stopping space. There is some “pseudo-driving-science” that says that if you tailgate a truck you will save on fuel because the truck takes away any wind resistance. While that might seem interesting for a physics lesson, hanging back from a truck on the road will you help you avoid a big truck crash. Being right behind a truck or bus puts in you in that vehicle’s blind spot, and thus if you fail to stop in time you could be in deadly danger. Also, stopping close behind a truck could be perilous when the truck and you are stopped on an upgrade. The bus or truck may roll back. Trucks and buses swing wide on turns. As you have surely seen, some trucks will initiate a turn from the middle of the road to make sure that the entire trailer will negotiate the turn without hitting the curb. So, if a truck has a turn signal on, you should never try to get between the truck and the curb. A breathless attempt to squeeze past a turning truck will not end well. If you were injured in a West Virginia car, truck or bus accident due to the carelessness of another driver, we invite you to contact the West Law Firm for a Free Consultation. We provide the highest quality legal services and will work with passion and skill to get you the best possible outcome for your case. Call us today at 1-877-943-9378 (WEST).